The new Koolance VID-398GX2 is a combined GPU and memory cooler for high-end water cooling of NVIDIA GeForce 9800 GX2 cards in single or multi video configurations. 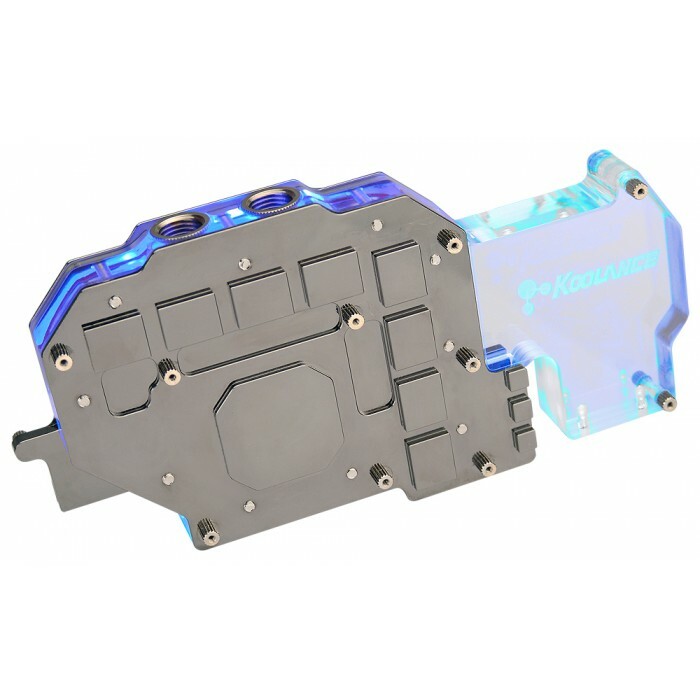 It combines double-sided, solid copper cold plates, nickel plating, and a thick acrylic jacket. 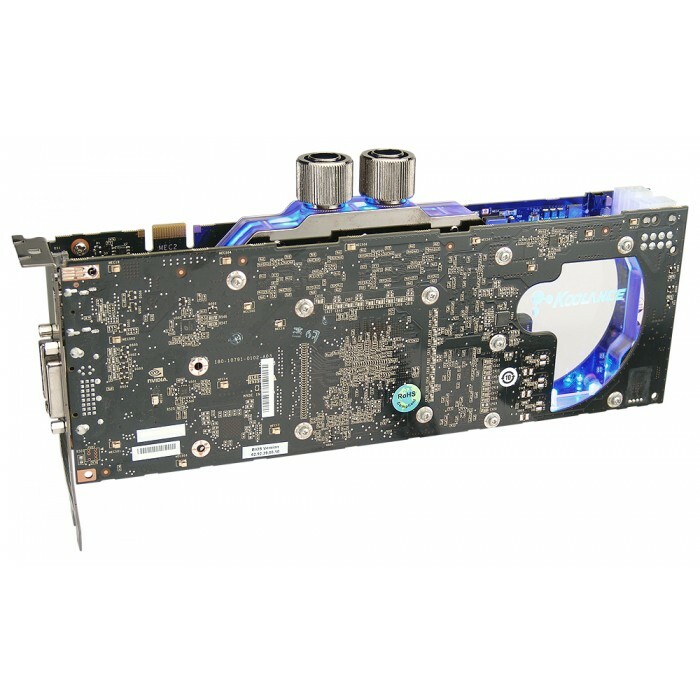 This product is "sandwiched" between the 9800 GX2's dual video circuit boards. The VID-398GX2 targets all primary heat-producing regions of the 9800 GX2, including the voltage regulators. Blue LED's are included, which can optionally be installed and powered by the video card's original fan plug. Fitting threading is standard G 1/4 BSPP. To help avoid fitting conflicts in narrow chassis, Koolance also recommends the NZL-LXG22 Low-Profile Swiveling Elbow Fitting.